Another great travel-themed toy from the 1970s was the Weeble Camp-About, made by Hasbro. 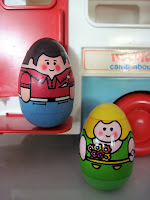 The Weebles were a delightful competitor to Fisher Price's Little People, roly poly egg-shaped 2 inch characters who, as their ads proclaimed, "wobble, but don't fall down." 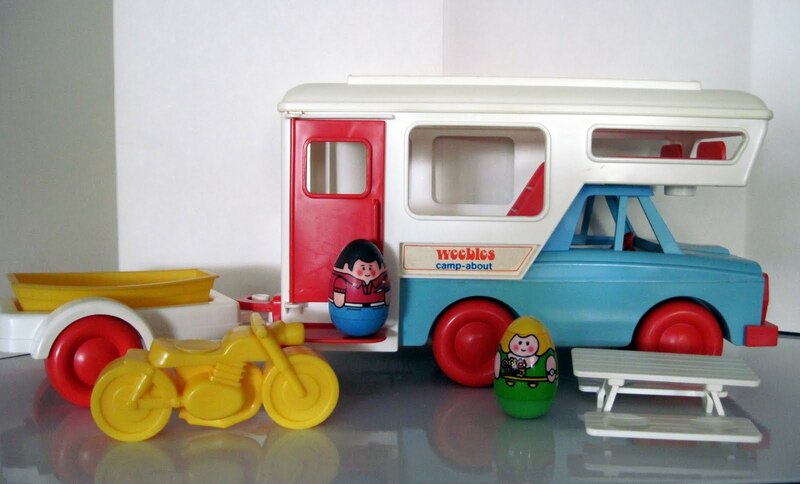 An extensive line of Weeble playsets was produced before they, like Fisher Price's Little People, were discontinued due to choking concerns, and their popularity and relatively short production span make them highly sought today. 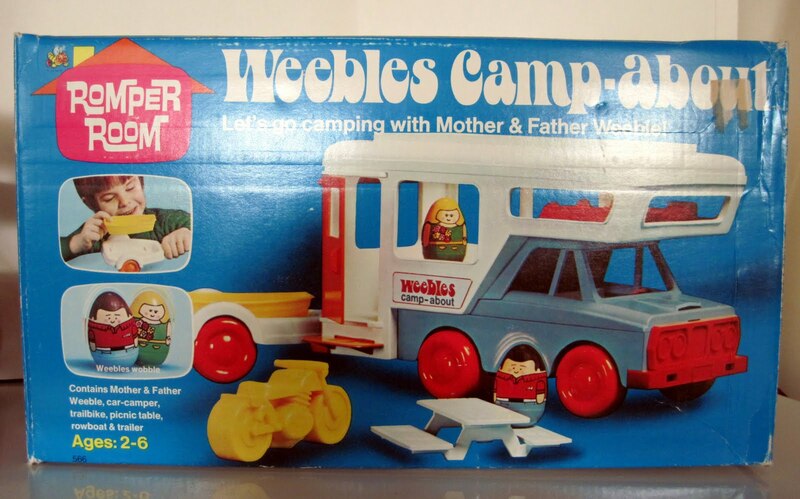 The Camp-About includes a truck, camper top, boat with trailer, motorcycle, picnic table, and Mr. and Mrs. Weeble. 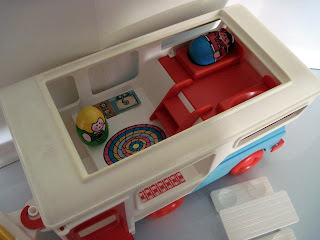 my weeble camper was gold on the sides, perhaps a couple years after this one? I've seen that color variation around, and I've seen other pieces in the set molded in different colors, too. 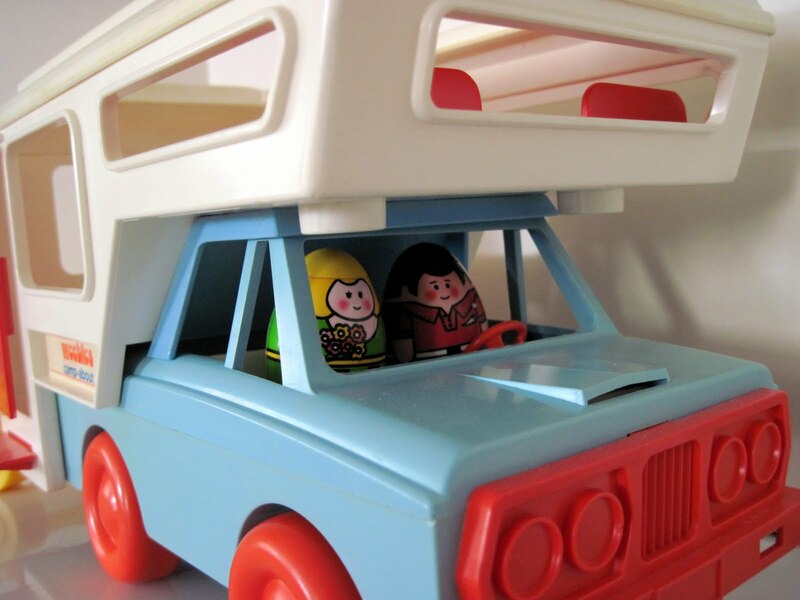 Maybe bored injection mold machine operators having some fun!